Air Hair (351/365) – Annoyingly Boring? 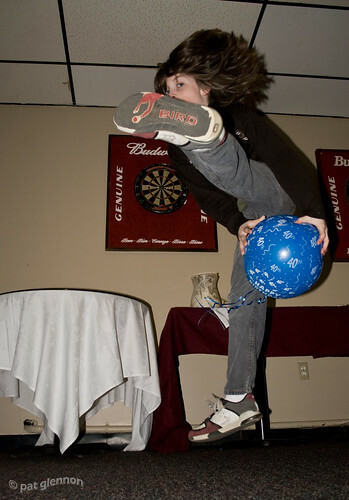 How do kids enterain themselves at a 40th birthday party for Mom & Dad’s friend? Why, with a birthday balloon slam dunk contest of course. His brother was in on it too. Wow, you guys have old friends. What a dynamic shot! Excellent work.